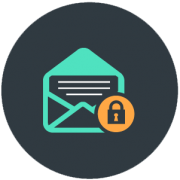 spamBlocker provides real-time security against the threats borne by unwanted emails, providing immediate protection from outbreaks. The solution is one of the best firewall-based anti-spam solutions on the market allowing SMEs to deploy and control their own in-house spam protection without the costs usually associated with this type of solution. Simple to deploy and manage, spamBlocker represents a cost effective solution to email security and is included in both the Basic and Total security suites.